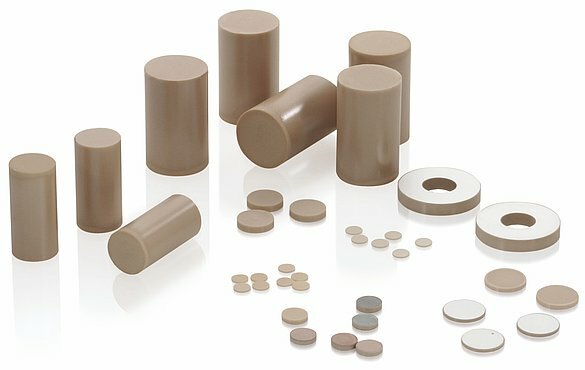 PI Ceramic provides a wide selection of piezoelectric ceramic materials based on modified lead zirconate titanate (PZT) and barium titanate. The designations of "soft" and "hard" piezo ceramics refer to the mobility of the dipoles or domains and hence also to the polarization and depolarization behavior. For actuator applications, ferroelectrically soft piezoceramics with low polarity reversal field strengths are used. Ferroelectrically hard PZT materials are primarily used in high-power acoustic applications. 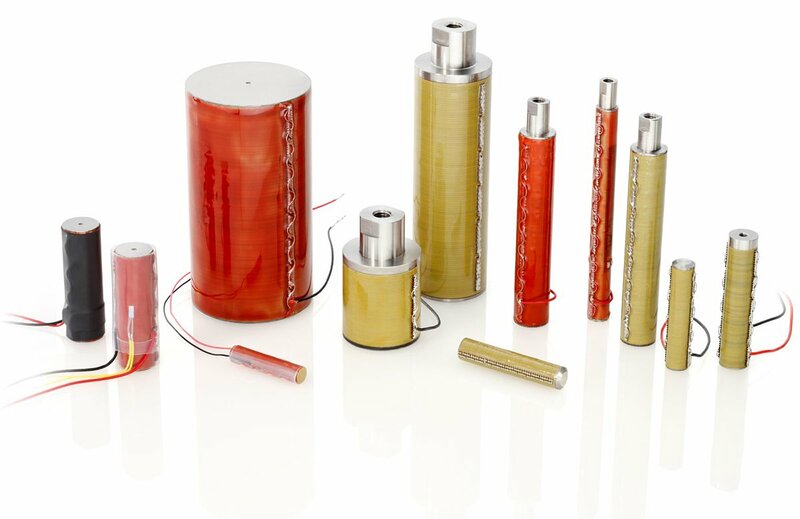 In addition, PI Ceramic offers lead-free piezo ceramics, currently used especially as ultrasonic transducers, and a crystalline actuator material. For application-specific properties, actuators and transducers can be manufactured from special materials, although the technical implementation has to be checked individually. The material properties are classified according to the EN 50324 European Standard. Ferroelectrically soft piezo ceramic materials can be polarized fairly easily even at relatively low field strengths. This is due to the comparably high domain mobility typical for them. The advantages of soft PZT materials are their large piezoelectric charge coefficient, moderate permittivities and high coupling factors. 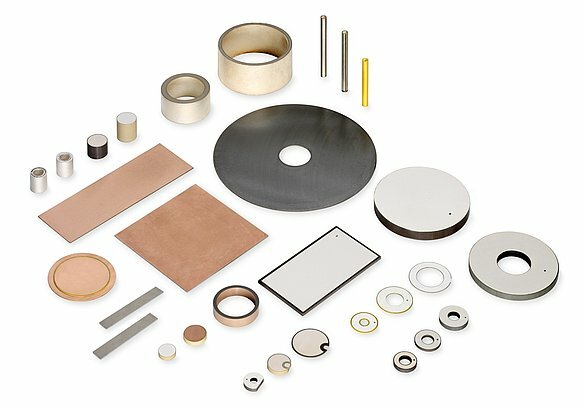 Important fields of application for soft piezo ceramics are: Actuators for micropositioning and nanopositioning, sensors, such as conventional vibration detectors, ultrasonic transmitters and receivers, e.g., for flow or level measurement, object identification or monitoring, as well as for electro-acoustic applications as sound transducers and microphones, and also as sound pickups on musical instruments. Ferroelectrically hard PZT materials can be subjected to high electrical and mechanical stresses. Their properties hardly change under these conditions. The advantages of these materials are their moderate permittivity, large piezoelectric coupling factors, high mechanical qualities, and very good stability under high mechanical loads and operating field strengths. 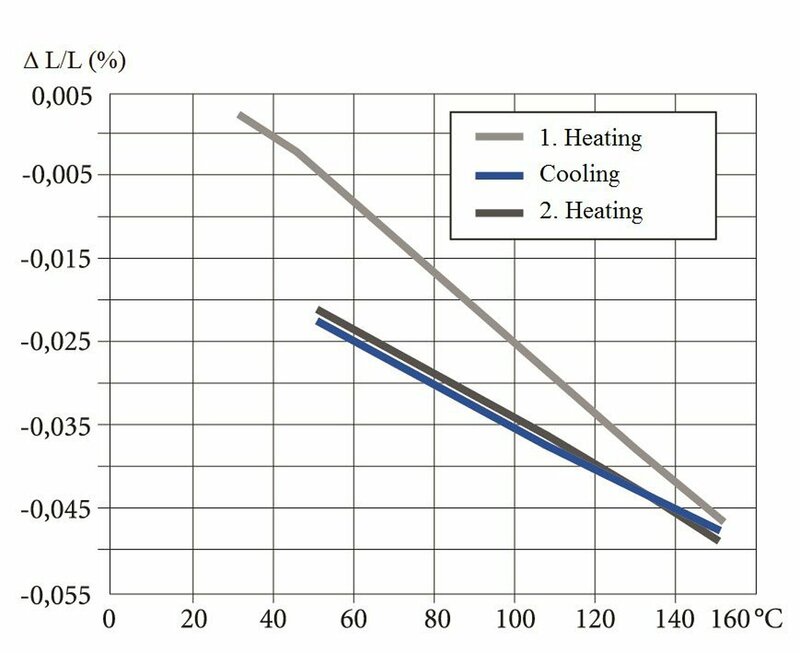 Low dielectric losses facilitate their continuous use in resonance mode with only low intrinsic heating of the component. 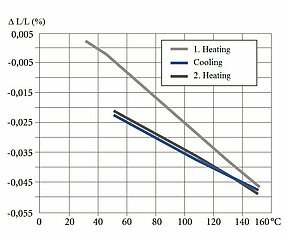 Especially high-power acoustic applications benefit from the properties of hard piezo materials. Examples of their fields of application include ultrasonic cleaning (typically in the kHz frequency range), the machining of materials (ultrasonic welding, bonding, drilling, etc. ), ultrasonic processors (e.g., to disperse liquid media), the medical sector (ultrasonic tartar removal, surgical instruments, etc.) and sonar technology. With the PIC700 material from laboratory production, PI Ceramic offers the first lead-free piezoceramic material on the market. PIC700 is based on bismuth sodium titanate (BNT) and has very similar characteristics to barium titanate materials. PIC700 is suitable for ultrasonic transducers in the MHz range and for sonar and hydrophone applications. The thermal strain exhibits different behavior in the polarization direction and perpendicularly to it. Nonpolarized piezoceramic elements are isotropic. 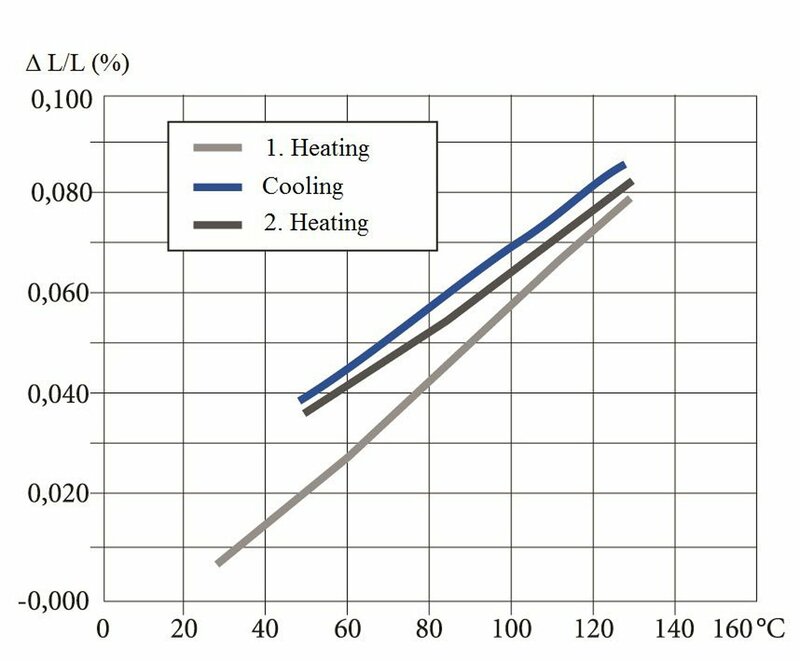 The coefficient of expansion is approximately linear at a temperature coefficient of approx 2 × 10-6 / K.
The preferred orientation of the domains in a polarized PZT body leads to anisotropy, which is the cause of the varying thermal expansion behavior. 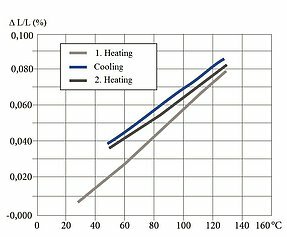 The effect of successive temperature changes must be taken into account in the application. Large changes in the curve can occur particularly in the first temperature cycle. Depending on the material, it is possible that the curves deviate strongly from those illustrated.